Olaf the Snow Man and Snow Queen Elsa together help keep your drink insulated! This Disney Frozen Olaf the Snow Man and Elsa 16 oz. 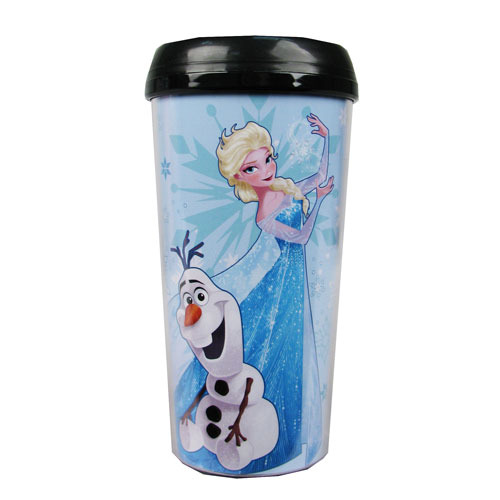 Plastic Travel Mug features a fun image of Elsa and Olaf on a glittery blue background. Complete with sturdy lid, this great mug holds up to 16 ounces of liquid and is a must-have for Disney Frozen fans! Hand wash only. Not dishwasher safe. Do not microwave. Ages 12 and up.